Air passengers face disruption to their European flights after German air traffic controllers agreed to strike over pay. The development came after the GdF union said its board had rejected the management's latest offer. But it also appeared to offer hope of a breakthrough, saying it was still prepared to adhere to a request from the federal government and meet once again for talks with an arbiter. GdF has been coy on detailing whether it is planning short walkouts in a few regions, or a full-scale strike across Germany. Air passengers are best advised to check the details of their travel insurance to ensure they are covered against complications arising from cancelled flights. 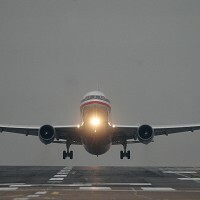 In August the DFS air traffic service agency sent the pay dispute to arbitration, however the union was unhappy with the final outcome. Both sides have accepted the general 5.2% salary rise but the union wants employees promoted faster.